Travelwheels Sydney Campervan Huren Pick up Drop off depot is located at 11 – 15 Clevedon Street, Botany, Sydney. We are very close to Sydney airport and within minutes you can be on the road to Melbourne or Brisbane with Travelwheels Campervan Hire Sydney. Once you get close to Sydney’s Domestic Airport, you need to turn off at Botany Road (not heading towards the city!). We are less than a ten minute drive away from Sydney domestic Airport. If you have a GPS or smartphone, then our address is 10 – 15 Clevedon Street, Botany, Sydney, NSW, 2019. If you get lost, then you can call travelwheels on 0403362086 or 0414897880 and ask for some directions! Once you turned left in to Hastings street drive for about another 350m and you will get to a “T” junction. Turn right in to Tenterden Road and then after 10m turn left into Clevedon Street and then travelwheels campervan hire sydney is only 100m away! Very easy to get back to the city from Travelwheels Campervan Hire Sydney Depot. Just walk back along Hastings Road until you get to Botany road. 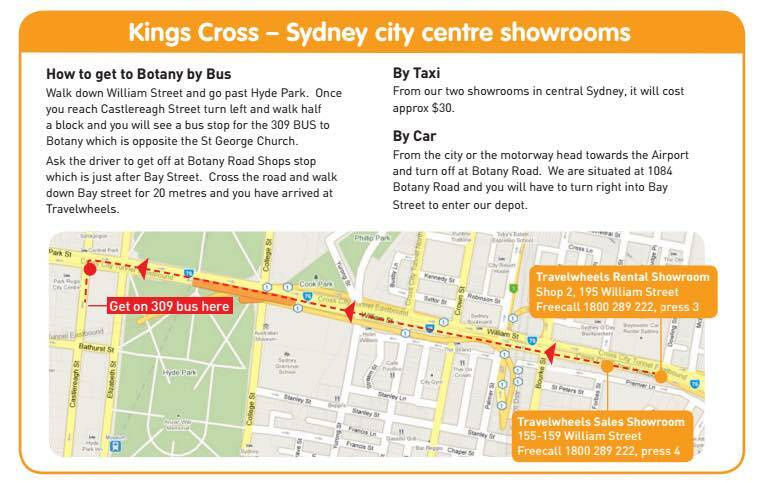 Then you will see a bus stop on the left hand side of the road and you can catch a direct bus back to Sydney city centre for $4. This is the most popular way to get to travelwheels campervan hire sydney depot and it’s the cheapest as well! Get on the bus in the city and ask the driver to be dropped off at “Botany Road nr Hastings Street Stop”. Grab either the 310, 309 or M20 bus from Central to go to Travelwheels Campervan Hire Sydney depot. 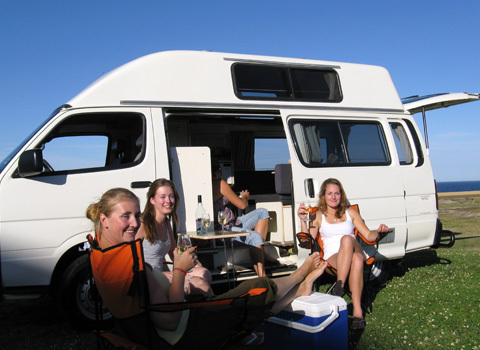 Travelwheels Sydney Campervan Huren has a depot that is conveniently located close to the Airport. With our campervan hire specials you can fly in to either domestic or international airport and within one hour of picking up your bags you can be in your camper starting your holiday!